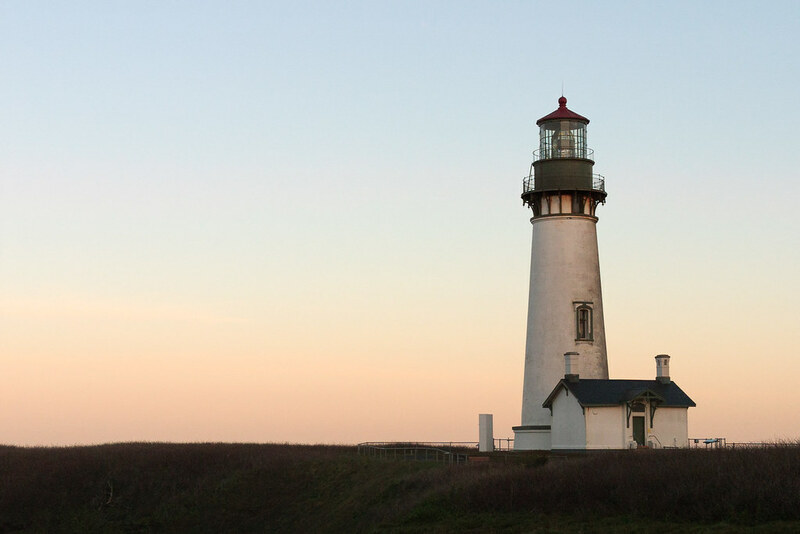 The rising sun colors the northern sky though it yet climbs a hill to the east, marking the end of the work day for the Yaquina Head Light, beacon in the night. This entry was posted in Scenic and tagged lighthouse, Newport, Oregon, sunrise, Yaquina Head Light, Yaquina Head Outstanding Natural Area. Bookmark the permalink.